The B listed former Maryhill Burgh Halls, designed by Duncan McNaughtan, completed in 1878, had lain derelict for seven years and was on the Buildings at Risk Register prior to refurbishment. 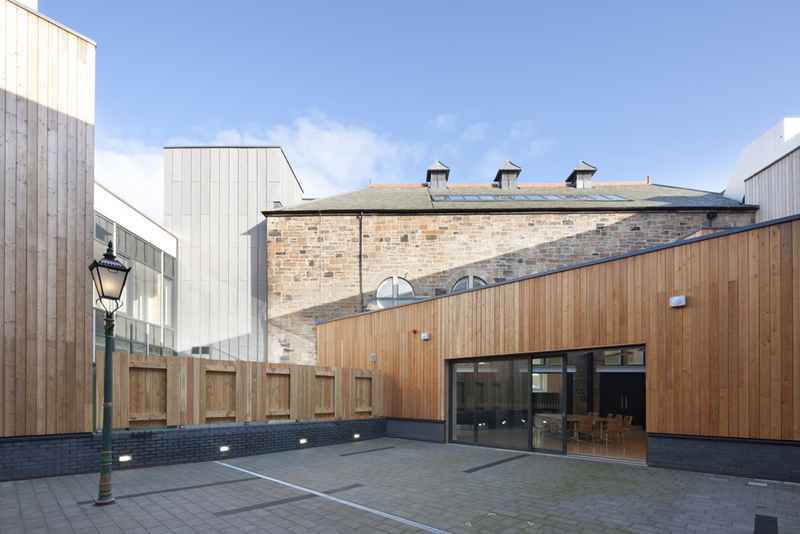 It now provides contemporary multi-purpose accommodation, whilst restoring the former Burgh Hall to function as it was originally intended, as a focal point and social hub for the community of Maryhill. The site is located at the heart of Maryhill on the corner of Maryhill Road and Gairbraid Avenue and is bordered to the west by the recently refurbished Maryhill Leisure Centre. 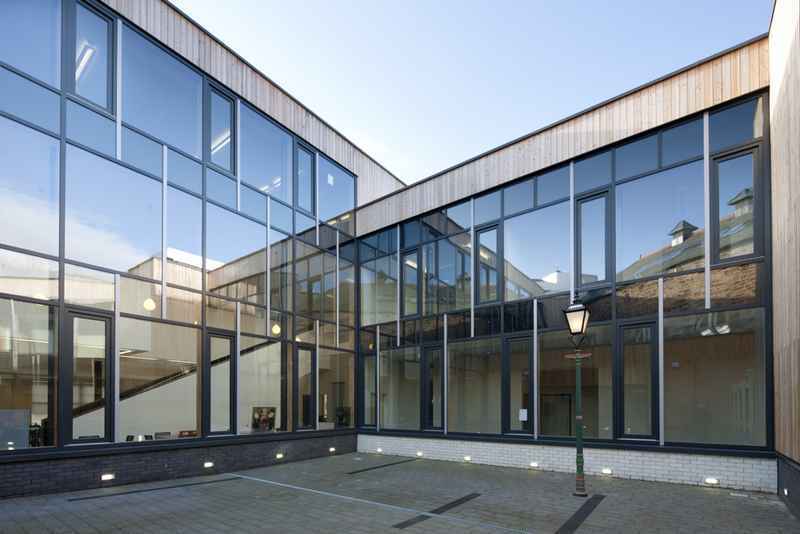 Through refurbishment of the former hall and administration building, façade retention and selective demolition of the former Police Station and Lamplighters buildings, jmarchitects inserted new accommodation, wrapping around a new external courtyard. The courtyard forms an edge to the refurbished hall and enables the contemporary accommodation to stand back and address it. 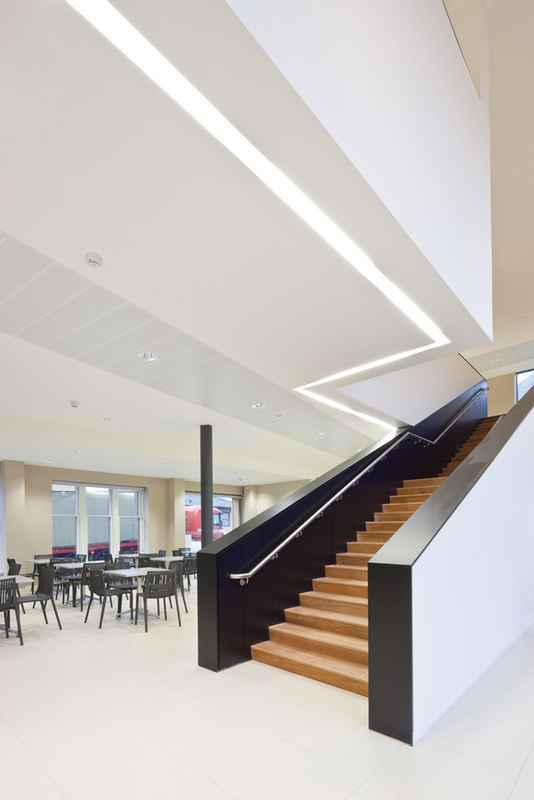 The circulation of the building flows round the courtyard giving a constant, central point of reference to the refurbished hall. 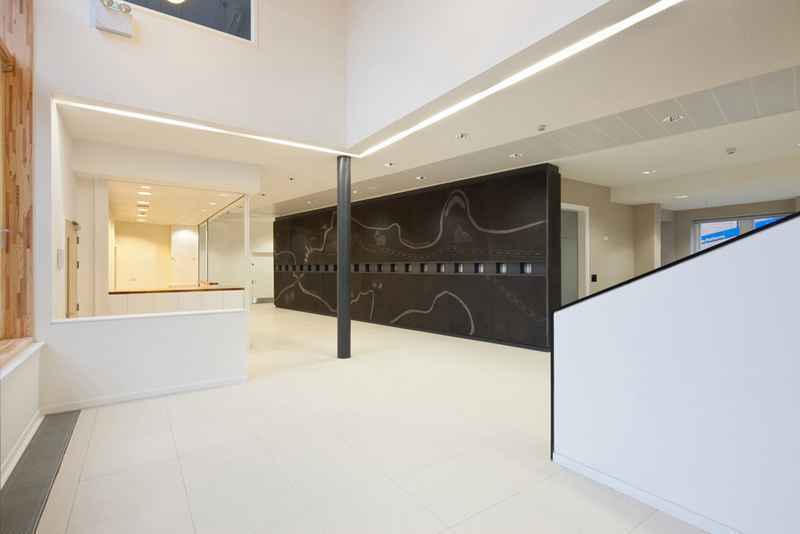 The main entrance to the building is through an entrance courtyard shared with the newly refurbished Leisure Centre. This courtyard was formerly the Maryhill Fire Station and the newly commissioned gates celebrate the previous use of the building. 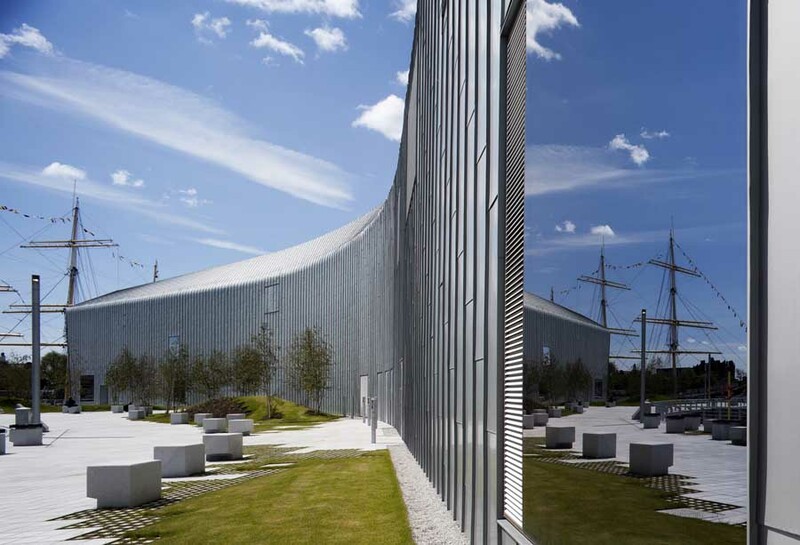 The external materials to the new elements were chosen to be sympathetic to the existing context, but detailed in a contemporary manner to ensure that they are read as modern interventions. 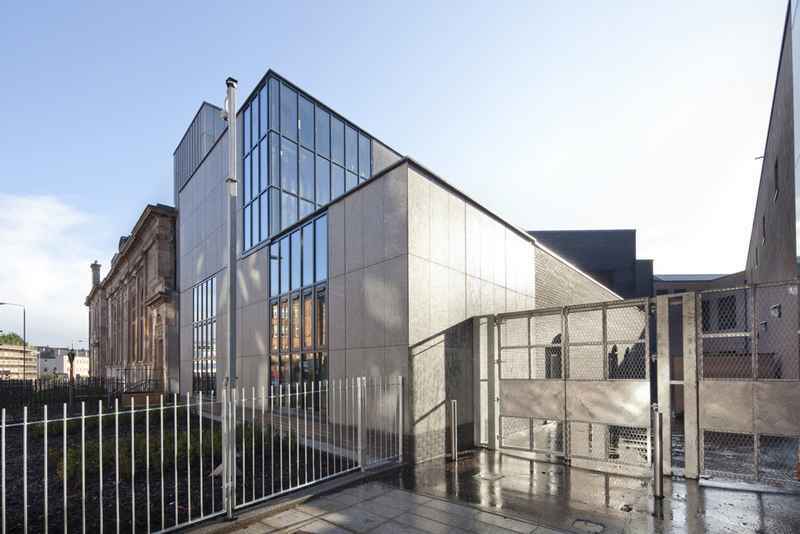 The elevation to Maryhill Road, which is the urban edge to the site, has a zinc clad tower terminating the existing building, which then steps down to a double and single storey element clad in flame textured granite. At the other end of the hall there is a zinc clad box at roof level which with the tower at the other end, frame the hall, whilst enclosing vertical circulation. The render to the entrance courtyard elevation matches the gable of the leisure centre opposite, with a panel of glazed white brick projecting from it signalling the entrance. 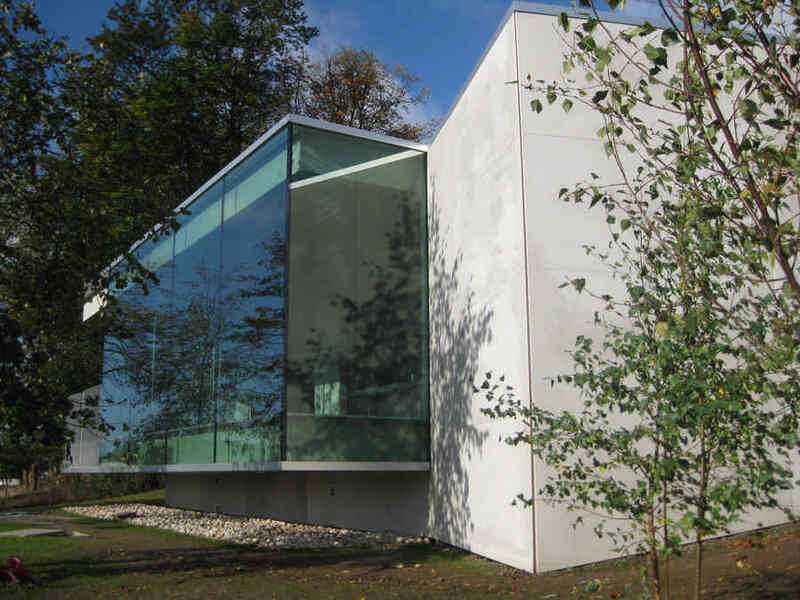 The glazed white brick echo the materials used to the rear elevations of the former buildings. The walls to the central courtyard are clad with timber weatherboarding and timber curtain walling, which, as the glazing is reflective, increases the sense of space within the courtyard. 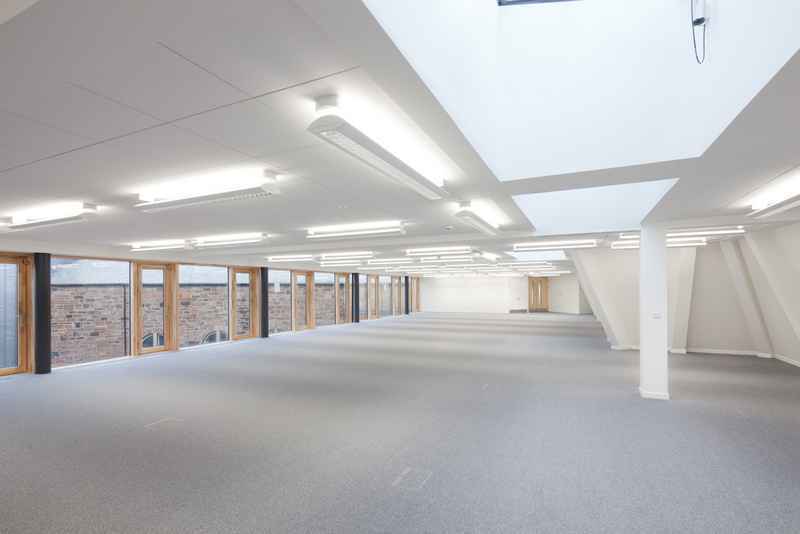 The mass is stepped down within the courtyard, which opens up the refurbished hall, enabling it to be viewed and allowing natural light to penetrate into it. 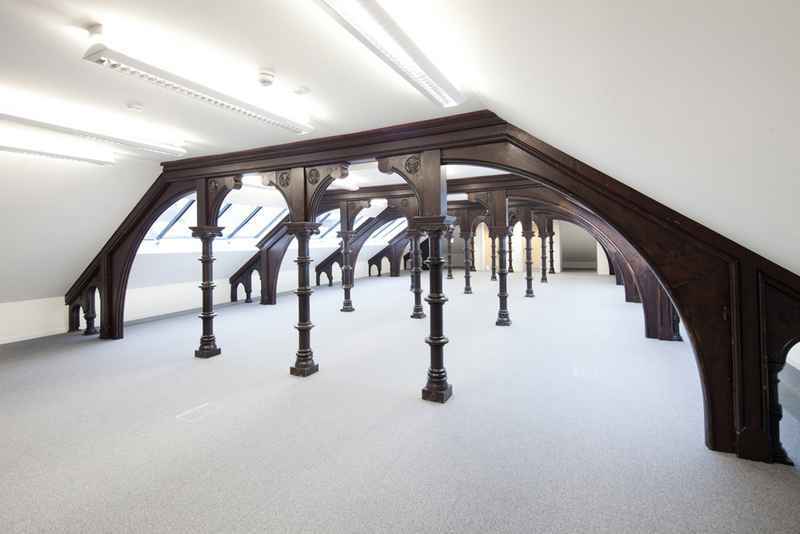 Our approach celebrates the heritage of the building and enables it to be read at a different level, such as in the attic above the hall where, due to the insertion of a new floor, you circulate between the original trusses. This allows a greater appreciation and understanding of the quality of the traditional crafts through the restoration. During construction there were a number of traditional heritage trades workshops held involving local primary school children, college students and interested local adults. This allowed them to see first-hand the construction works in progress in addition to getting some simple hands on experience working with craftsman in traditional crafts such as joinery, slate and leadworking and masonry and lime mortar. Complementing the buildings are a series of historically and socially unique stained glass windows from 1878. These depict the trades and working people of the local area, now restored and back on display for the first time in nearly half a century, helping inspire multiple community workshops and art project competitions to design and produce new works based on the area’s history and people. 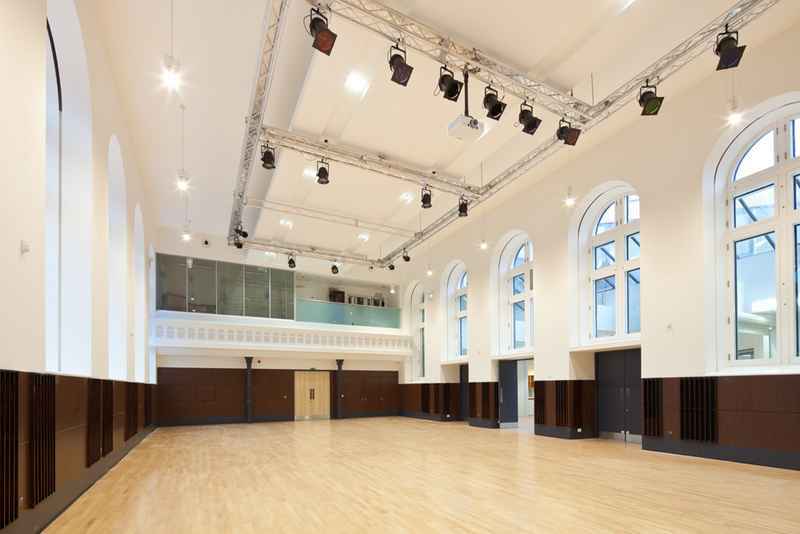 The future of Maryhill Burgh Halls as an important historical civic building has been ensured through the dedication of the Maryhill Burgh Halls Trust working together with jmarchitects and the design team. 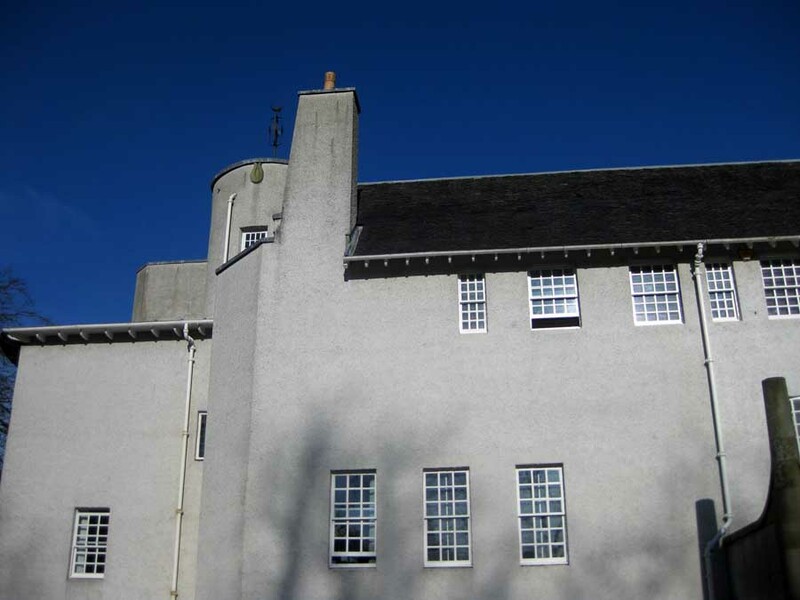 Maryhill Burgh Halls was awarded the Scottish Civic Trust My Place Award 2012. 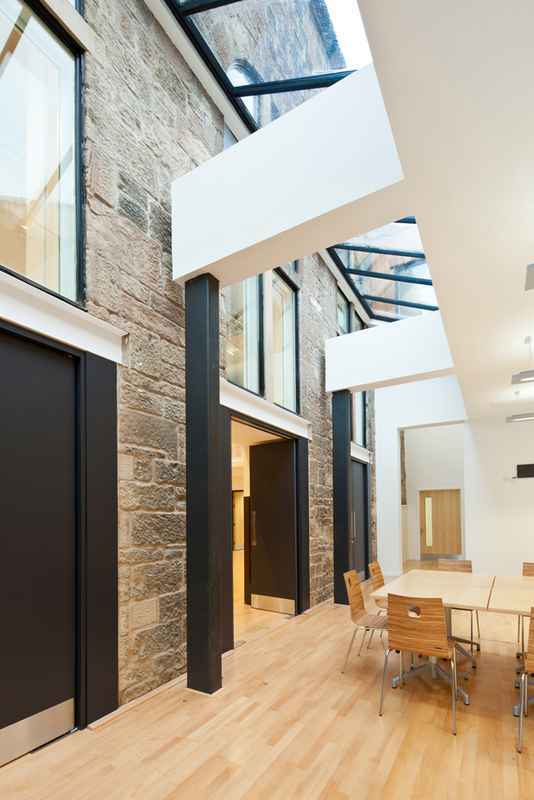 Hunter Reid, Project Co-ordinator and Company Secretary of Maryhill Burgh Halls Trust received the Scottish Civic Trust, Civic Champion Award for his contribution not only to this project, but to the built environment of Scotland thoughout his career. 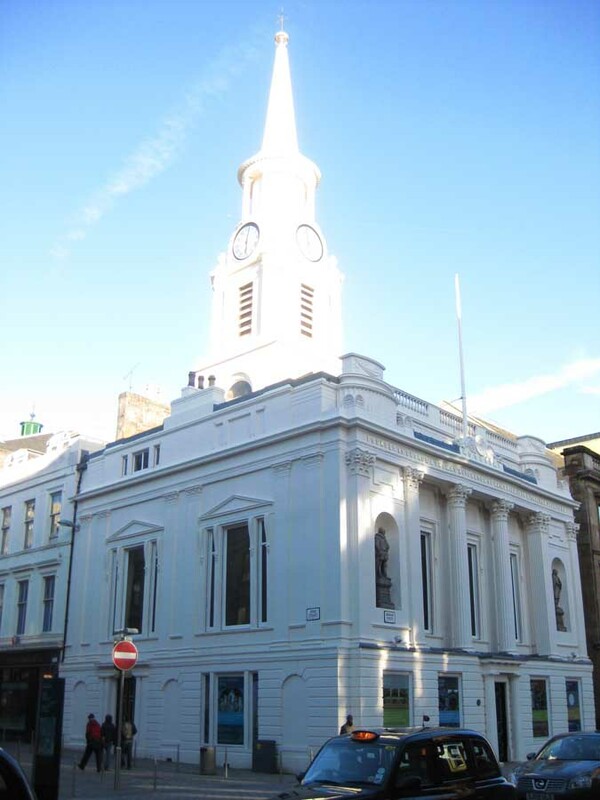 The Scottish Civic Trust My Places Award 2012 has been won by Maryhill Burgh Halls, designed by JM Architects and nominated by Maryhill Burgh Halls Trust. The winner of the Civic Champion Award is Hunter Reid. Hunter is also the Project Co-ordinator of the Maryhill Burgh Halls project.